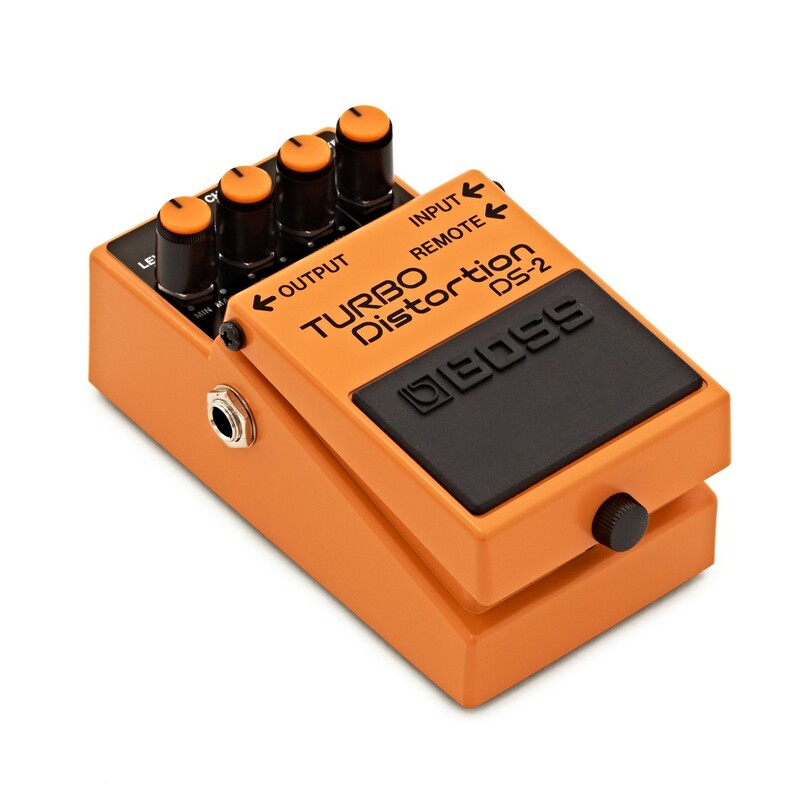 The Boss DS-2 Turbo Distortion Guitar Pedal offers two distortion modes within one single, compact pedal. The two modes provide different sounds to fit your style, genre and mood. 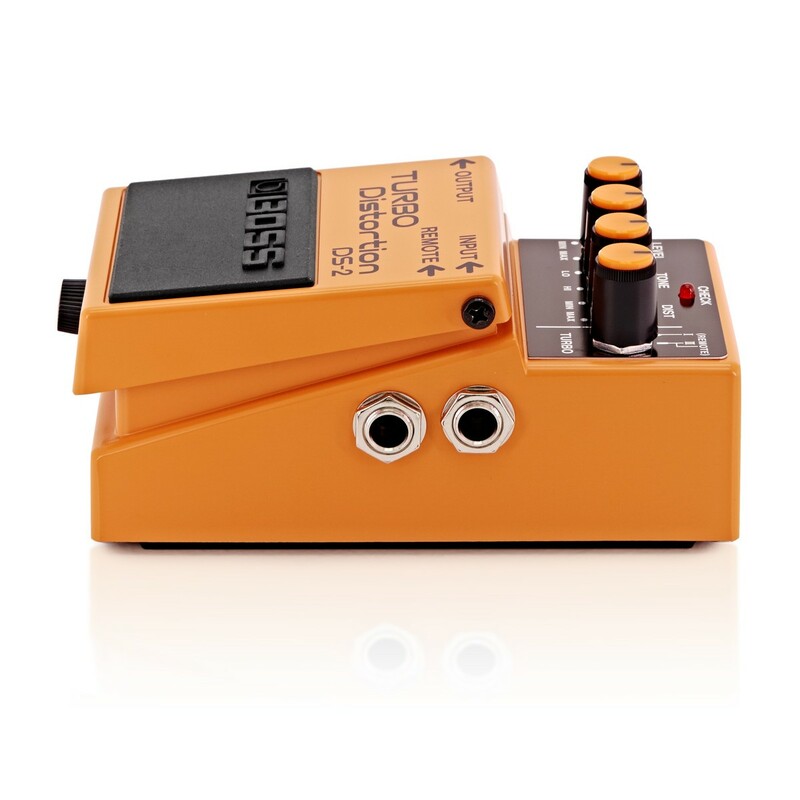 With a built-in remote jack, the DS-2 allows the use of a footswitch for hands-free switching. You can then switch between normal distortion or turbo mode for that extra kick and punch. Easily alter your sound with the DS-2 pedal by changing between bluesy, rock beats and intense, soaring leads. The DS-2 makes it incredibly easy to switch between the normal and turbo sounds, and with a built-in remote jack, this allows you to connect a footswitch to the pedal. So your hands can be gliding up and down the fingerboard instead of inconveniently fiddling with the pedal controls. 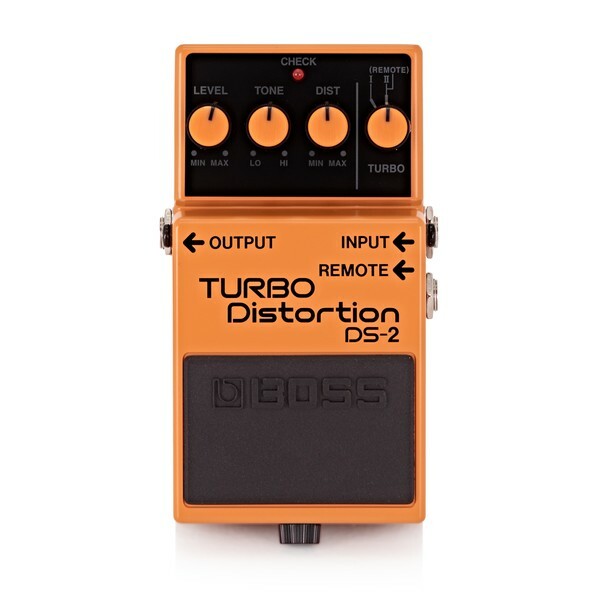 The DS-2 offers two distortion modes, both conveniently accessible with one single pedal. 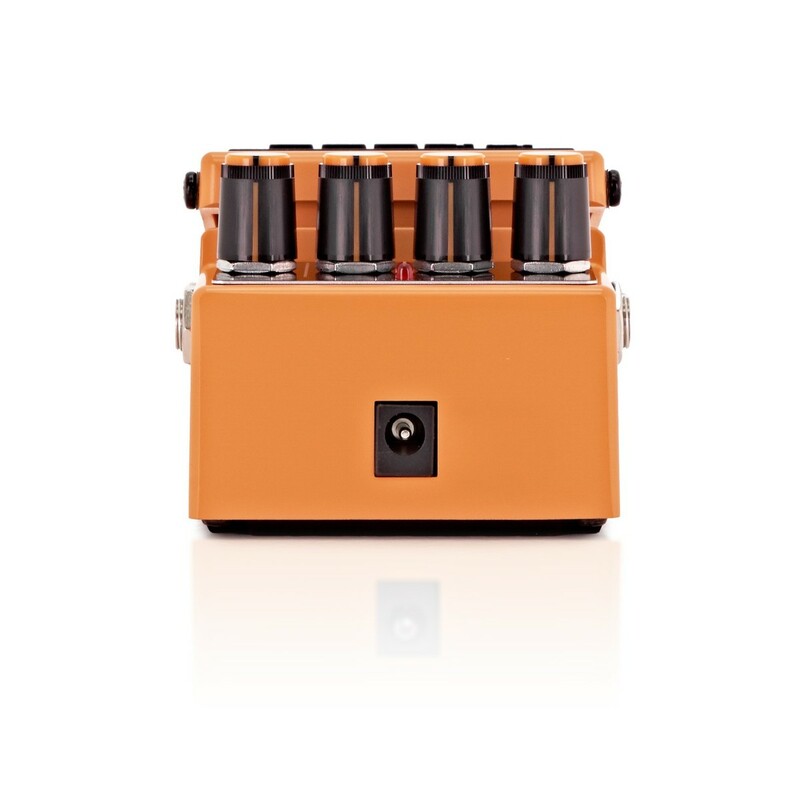 Mode 1 produces a warm and mellow distortion sound, which has a flat frequency response for audio accuracy. Mode 2 offers a more punchy sound with biting distortion and excellent mid-range boost with high gain. This mode is great for soaring leads, though with both modes in one pedal you can create the ultimate, versatile performance.